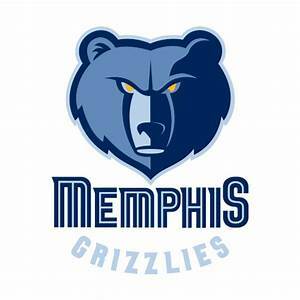 Cleveland Cavaliers @ Memphis Grizzlies Free NBA Betting Preview for Wednesday. December 26, 2018. 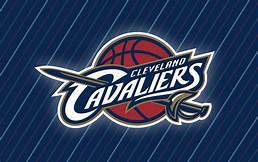 The (8-26) SU, (16-18) ATS Cleveland Cavaliers have lost four of five the latest a 112-94 defeat by their Eastern Conference Central division rivals Chicago Bulls as 1 point home FAVORITES ATS. Fans in Cleveland seem to be up in arms about LeBron James remarks that it was hard to recruit players to the city his first tenure in Northeast, Ohio. That’s about all the faithful have to talk about in 2018 as their team is one of the worst in the NBA. Cleveland is 4-1 ATS their last five against Southwest division opponents. The OVER is 6-1 Cleveland last seven after losing by 10 points or more their previous game. OVER bettors have made a profit in 5 of Cleveland last six after a POINT SPREAD defeat. The Cavaliers are 16-6 ATS their last twenty-two vs. Memphis. The (17-16) SU/ATS Memphis Grizzlies broke a five-game losing streak with a 107-99 win over the Lakers as 5 point road UNDERDOGS ATS which was the finale of a four-game trip. Memphis scored 35 points in the final quarter on 8 of 10 shooting from beyond the three-point line to overcome a three-point deficit in the victory. Rookie Jaren Jackson jr scored a team-high 27 points. Memphis is 1-5 AGAINST THE POINT SPREAD their last six overall. The Grizzlies are 1-4 ATS their last five following an SU win. The UNDER is 4-0 Memphis last four overall. OVER bettors have cashed in 9 of the last thirteen between the teams in Memphis. Wednesday’s game is 8:05 PM EST at FedExForum in Memphis, Tennessee. The Local Television Network will be broadcasting. The Betting Line has Memphis as 10′ point home FAVORITES ATS. The TOTAL is 196′ points for Wednesday’s contest. Cleveland Cavaliers interim head coach Larry Drew hopes to have his team ready for a three-game road trip beginning in Memphis before back to back contests in Miami and Atlanta. The Cavaliers own the worst record in the Eastern Conference a season after going to the NBA Finals. However, there’s a good reason LeBron James has taken his talents to Southern California. Power Forward Larry Nance has been playing at an elite level. Since their December 12th win over the Knicks, he’s averaging 6.4 assists per game along with 11.2 rebounds which leads the team. Rookie Collin Sexton (14.2) ppg is going to be an excellent player and is third on the leagues 27th ranked scoring offense (102.8) points per contest. Cleveland dishes out (19.7) assists per game a statistic that shows how much Sexton must learn at the highest level of Basketball. The Cavaliers shoot (44.7%) from the field which is 23rd in the NBA. Defensively the Cavaliers 21st ranked defense gives up (111.6) ppg to opponents. Wednesday game is winnable for Cleveland with the Grizzlies style of Basketball that play to their advantage. Sexton and Jordan Clarkson as quick enough to contest in the backcourt. Memphis began the 2018 season as one of the feel-good stories in the NBA; however, recent struggles have them 10th in the Western Conference. They’ll play two at home before ending the calendar year in Houston in a New Years Eve matchup. As usual, Memphis has struggled on offense as the (101.9) points per game are 29th in the Association. Point Guard Mike Conley leads the team with (20.6) ppg and is familiar with the offense. Marc Gasol puts in (16.1) ppg while pulling down a team-best (8.6) rebounds per game. General manager Chris Wallace made a splash by adding Kelly Oubre into the mix, the former Wizards reserves have a scorers mentality, but much more will be required in Memphis. Forward JaMychal Green (10.4) ppg, along with guard Shelvin Mack (8.3) ppg play substantial roles off the bench where they need more depth. 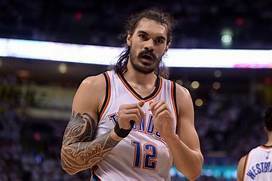 The recent acquisition of Joakim Noah could pan out as the season progresses; he scored 13-points in his debut in a Grizzlies uniform. It seems as though when Gasol is in rhythm so is Memphis as a team, and he should be ready to perform in front of the home fans against Larry Nance. A key for a Memphis victory is to play their signature defense while giving Oubre looks on offense. Bovada.Lv list the Memphis Grizzlies win total at 33′ games for 2018-19. Free Pick. Cleveland+10′ Points. Also Play Online Poker Plus Other Casino Games and enter some of the best Tournaments on the World Wide Web. Free Winning NBA ATS Picks, Odds, New, and Notes for Tuesday, March 20, 2018: Houston Rockets at Portland Trailblazer’s. Written and authored by National Basketball Association Expert Analyst Al Presto. Charliessports.com produces it for Basketball Betting news and notes. 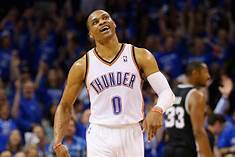 NBA Point Spread Predictions are the best in the business and again will win again at an unbelievable rate through the NBA Finals in June of 2018. The (56-14) Houston Rockets of the Western Conference Southwest division will travel to the “PACIFIC NORTHWEST” for the matchup. Houston play’s the (44-26) Portland Trailblazers of the Western Conference Northwest. Tip-off is 10:30 PM EST. The game is on Tuesday, March 20, 2018. The teams will play at Moda Center in beautiful downtown Portland, Oregon. The TNT Television network will broadcast the game. It seems as though the Houston Rockets have taken over supremacy in the Western Conference with all of the injuries to reigning Champions Golden State. The opening betting line has Houston as a four and a half-point road favorite against the spread. The betting odds total is 214′ points for Tuesday’s game. The Houston Rockets are on a five-game winning streak after consecutive road victories at New Orleans and Minnesota. Houston will return the “LONE STAR STATE.” following Tuesday’s contest. The Rockets are 6-4 to the Las Vegas number their last ten basketball games, going over the betting odds total just three times in the ten game span. Head Coach Mike D’Antoni had the luxury of watching his brother coach the Marshall Thundering Herd to a first-round win in the 2018 NCAA March Madness Men’s Basketball Tournament. It’s a good time for the D’Antoni family. However, the Herd lost in the second round to the University of West Virginia. General Manager Daryl Morey deserves a lot of credit for putting the pieces together to make an NBA Title run. All-Star James Harden is the team’s leading scorer with Chris Paul and Eric Gordon also contributing. The Rockets understand playing tight defense will get them where they want to go. Bovada.Lv, list the Houston Rockets at +175 to win the 2018 NBA Western Conference Crown. The 2018 Portland Trailblazer’s are first in the Northwest two game in front of second place Oklahoma City. Portland is currently on a ten game winning streak including covering all ten against the point spread, making ATS bettors in Las Vegas very happy. Portland will host the Boston Celtics on March 23rd before a crucial road game at Oklahoma City. The dynamic backcourt duo of Damian Lillard and C.J. McCollum is one of the most productive in the league. Lillard should get a long-term contract shortly with McCollum not far behind. Head Coach Terry Stotts is one of the brightest young minds in the profession but also understands his team has to get past the first round of the playoffs if he is to stay on board, it’s a what have you done for me lately league. The key to a Portland victory is to play inside out with Center Jusuf Nurkic getting plenty of touches in the post. Bovada.Lv lists Portland at -145 to win the 2018 Northwest Division Title. Winning, 2018 NBA Expert Betting Predictions. Free Picks. Portland+4 And A Half Points. Also, Play Online Poker Plus Other Casino Games and enter some of the best Tournaments on the World Wide Web. Bet Here. The Best NCAA Basketball Conference Tournament(ACC) ATS Predictions, News, Notes, and Odds: Pittsburgh Panthers vs. Notre Dame Fighting Irish. Written and authored by College Basketball March Madness Expert Analyst Greg Nelson. Charliessports.com produces it for Basketball Betting news and notes. Basketball Point Spread Expert Picks are the best in the business and again will win again at an unbelievable rate through the NCAA Basketball March Madness Finals in April of 2018. The (8-23) and Fifteen Seed Pittsburgh Panthers of the Atlantic Coast Conference are in the “LARGEST BOROUGH OF THE BIG APPLE” for their opening round matchup. Pitt takes on the (18-13) and Number Ten Notre Dame Fighting Irish also of the ACC. Tip-off is 2:00 PM EST. The game is on Tuesday, March 6, 2018. The teams will play at the Barclays Center home of the NBA Nets in Brooklyn, New York. The ESPN2 network will broadcast the game. The University of Pittsburgh basketball program has fallen on hard times since the departure of Jamie Dixon. The Athletic Department must find a remedy for two season’s of mediocrity; it could be a complete overhaul of the program. Notre Dame missed the leadership of All ACC performer Bonzie Colson for most of the regular season, but he’s back and ready to lead the team to an NCAA tournament berth. The opening betting line has Pittsburgh as a fourteen point underdog against the spread on a neutral court. The betting odds total is not available for Tuesday’s game. The 2018 Pittsburgh Panthers will probably be playing their last game of the season Tuesday in Brooklyn. Head Coach Kevin Stallings is finding it rough going his first two years since coming to the program from Vanderbilt. Pitt didn’t win an Atlantic Coast Conference game this season, and that’s unacceptable at any program let alone the University of Pittsburgh. Expectations are always high in Western Pennsylvania and the athletic department could buy out the contract of Stallings. The Pitt Panthers were also winless on the road this season. Pittsburgh is 5-5 their last ten against the Las Vegas number but covered the point spread in their previous game at Notre Dame. Guard Jared Wilson-Frame is the team’s leading scorer with a little over twelve points per game. Pittsburgh must use the entire clock and take the best shot possible on offense. Bovada.Lv has the Pittsburgh Panthers at +25,000 to win the 2018 NCAA Basketball Atlantic Coast Conference Men’s Basketball Tournament. The Notre Dame Fighting Irish lost their regular season finale on the road to number-one ranked Virginia. Head Coach Mike Brey watched his team compete for the entire game at both ends of the floor which shows they are ready to compete in the ACC Tournament. Notre Dame is also 5-5 their last ten to the number of betting enthusiasts, going over the betting odds total six times and staying under four. Massachusetts native Bonzie Colson played in just sixteen games this season and is averaging a team-high twenty points per contest. Guard Matt Farrell is second in scoring and can knock down the three-point shot. The coaching staff doesn’t want the team to feel they are already in the March Madness field; they want to advance to at least the semifinals. The key to a Notre Dame victory is to play with a sense of urgency at both ends of the court. Bovada.Lv lists the 2018 Notre Dame Fighting Irish at +2,500 to win the ACC Basketball Tournament Championship. Free Winning, Atlantic Coast Conference Tournament Basketball Picks. Free Picks. Notre Dame-14. Also, Play Online Poker Plus Other Casino Games and enter some of the best Tournaments on the World Wide Web. Bet Here. Free Winning NBA ATS Expert Picks, and Odds: Detroit Pistons at Orlando Magic. Basketball Points Spread Betting Predictions are tops in the industry and will continue through the NBA Finals in June of 2018. The (29-32) Detroit Pistons of the Eastern Conference Central division will make the trip to the “SUNSHINE STATE” for a conference of game. Detroit play’s the (18-43) Orlando Magic of the Eastern Conference Southeast in 2018 NBA action. Tip-off is 7:00 PM EST on Local Television Networks. The game is on Friday, March 2, 2018. Best Sports Handicapper believes the Detroit Pistons will get in the 2018 NBA postseason. Detroit has too much talent in the interior at both ends of the court. The Orlando Magic are rebuilding, and the coaching staff could be let go at the end of the 2018 season. Orlando will probably finish the regular season with the worst record in the NBA. The Opening Betting line has the Orlando Magic as a two and a half-point home underdog against the spread. The betting odds total is 214 points for Friday’s contest. The 2018 Detroit Pistons broke a three-game losing streak with a 110-87 blowout home victory against Milwaukee. Not only did the Pistons get their first win since the All-Star break they got an ATS cover for the first time in eight games. Detroit is seven and a half games behind first-place Cleveland in the Central division and is barely holding on to the finals playoff spot in the Eastern Conference. Head Coach Stan Van Gundy has a formidable frontcourt with the addition of Blake Griffin. All-Star Andre Drummond can learn a lot from the former Clippers star. The Pistons rank ninth in the league in points allowed per game; defense is Van Gundy’s calling card. Point Guard Reggie Jackson is set to return later this month; he’s recovering from a severe ankle sprain. Detroit must play inside out with Griffin and Drummond controlling the post. Bovada.Lv, list the 2017-18 Detroit Piston Over/Under win total at thirty-nine and a half games. The Orlando Magic have lost seven in a row and hasn’t posted a win since February 10, 2018. Orlando is 6-4 ATS their last ten and the betting odds over the total is 5-5 in the same span. The Magic have not performed on the offensive end very well the past three games. However the return of Aaron Gordon and Nikola Vucevic. Rookie Jonathan Isaac is also set to return after an injury. Vogels also understands with the return of Gordon, Vucevic, and Isaac it’s going to be a logjam for playing time. 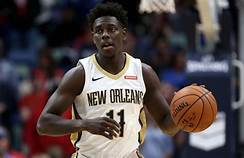 Orlando made a mistake in parting ways with defensive specialist and point guard Elfrid Payton; the Louisiana native can compete with anyone in the NBA at his position. Orlando has challenges at the defensive end of the court; they rank near the bottom statistically. Evan Fournier and Gordon lead the team in scoring at eighteen points per game. The key to a Magic victory is to make shots from the perimeter and neutralize Griffin and Drummond. Bovada.Lv lists Orlando at winning Over 34 Games in the 2017-18 season. The Best, NBA ATS Betting Predictions For Friday, March 2, 2018. Free Pick: Detroit-2′ Points. Also, Play Online Poker Plus Other Casino Games and enter some of the best Tournaments on the World Wide Web. Bet Here.